Product Features | Driver Manager | Manages Your Driver Updates. Driver Manager allows you the access over 11,000,000 device drivers for your PC. Our huge database includes drivers specifically designed for brands like Lenovo, Dell, HP, Acer, Toshiba, Gateway, Canon, Realtek, Adaptec and more. Identifying the most compatible drivers for your computer is very important for system stability. Driver Manager is designed to identify the latest drivers specifically designed for your PC. Driver Manager Software performs a scan to identify the obsolete and out dated hardware device that needs to be replaced. This extremely user- friendly and easy-to-use software is a great time saver, making the procedure simple and easy. Driver Manager makes sure to identify all your system devices through its perfect scan procedure and guarantees the perfect up-gradation of the drivers to the latest and the most compatible version. Gone are those days when you need to sit hours browsing the net to find out the perfect drivers to update your system devices. A long procedure with doubtful result. The drivers that you have spend hours to search and download, may or may not work. Driver Manager scans the computer system in minutes, identifies the faulty driver and replaces it with the latest one in no time. Before you wink, your system drivers are updated. Driver Manager provides a complete backup option to copy data and the drivers that has been downloaded to media device through a simple wizard that helps to keep a copy of the drivers in case of any hardware or software error. A simple tool for reloading, upgrading or downgrading you operating system will be created in form of a migration CD. This tool will run an auto scan and download the right drivers that match the new operating system. Driver Manager keeps an eye to detect any change of hardware on your PC so that it can intimate you about the latest driver updates and assures the smooth working of the computer system. Driver Manager retains the legacy drivers in case some driver updates are no more in production . Driver Manager makes sure that even the oldest device drivers can continue working with these legacy drivers. 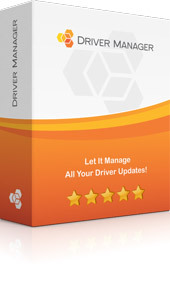 Driver Manager is the safest and easiest way to update your device drivers. It is completely free of spyware, viruses and any kind of malware. It is 100% safe and reliable.